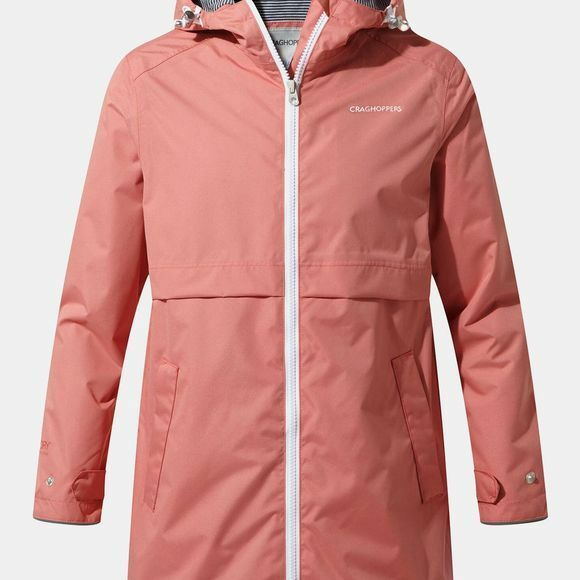 If you’re not sure what the weather holds, this is the ideal go-to waterproof for girls. Lightweight and practical, Dahna offers longer-length coverage with an adjustable grown-on hood and charming striped jersey lining. A great choice for the schoolyard, too.